This is our 24 Hour Self Serve Dog Wash! It has everything you need to keep your dirty dog out of your bath tub. 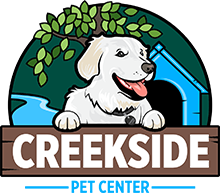 Just bring your dollars or quarters any time day or night and you can wash your dog (Please bathe your children at home!) We provide the shampoo, conditioner, blow dryer, vacuum, and more so your pup looks like he just left the salon! 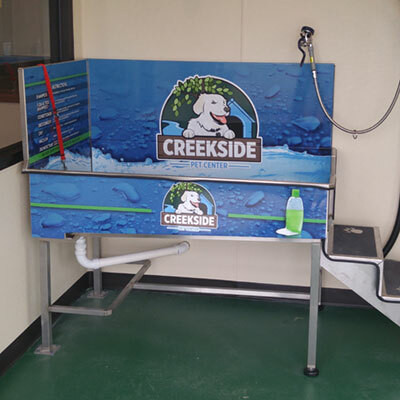 The Dog Wash has its own entrance just down the sidewalk to the left of our main lobby entry way, takes $2.00 to get started and accepts both quarters and bills.